Modesto, Stockton and Bay Area waterways provide families with hours of enjoyment and recreation. However, when having fun in the sun, sometimes people are seriously injured in a boating accident. These injuries will happen as long as some people operate boats while intoxicated or otherwise operate the boat negligently or dangerously. Boating accidents can be very serious, including injuries to the brain, head and spinal cord. Lifelong or even death can be caused by a simple boating accident. 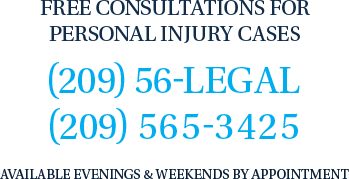 If you are a loved one have been injured in a boating accident please seek medical attention and then call the Bogan Law Firm to protect your rights.